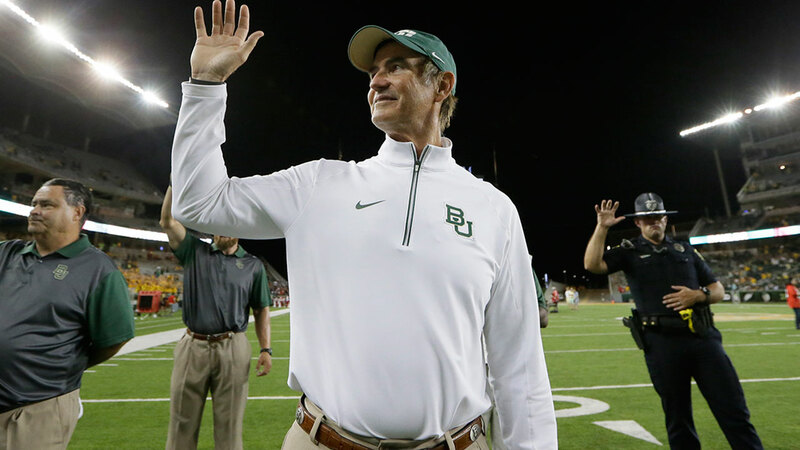 AUSTIN, TX -- Former Baylor football coach Art Briles is suing three school regents and a vice president for libel and slander, accusing them of falsely stating he knew of reported assaults and alleged gang rapes by players and didn't report them. The lawsuit also asserts that Baylor officials conspired to keep him from getting another coaching job. Briles was fired last May after an investigation determined Baylor mishandled reports of alleged sexual and physical assaults, some by football players. Briles denies he knew about and failed to report alleged assaults. The lawsuit was filed in Llano County in Central Texas. It names Baylor regents Chairman Ronald Murff, board members J. Cary Gray and David Harper, and Baylor Vice President Reagan Ramsower.